Seven PVC pipe bombs were sent to several high-profile critics of President Donald Trump and the New York City offices of CNN Wednesday, creating fear in the tri-state area and across the nation less than two weeks before the midterm elections. 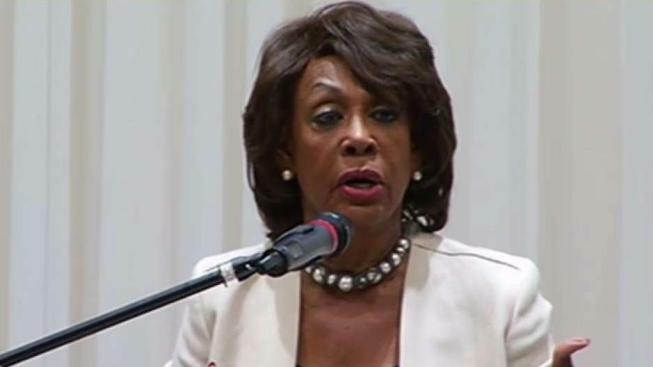 Packages addressed to Hillary Clinton, former President Obama, billionaire George Soros, ex-Attorney General Eric Holder, former CIA director John Brennan and Rep. Maxine Waters of California - who was sent two -- and all appear to have the same characteristics, authorities and law enforcement officials with direct knowledge of the matter told NBC News. None of the devices detonated and no one was injured, and authorities are examining the crude explosives and staying on the lookout for additional packages. Federal authorities are also looking into the possibility that there is an eighth package, possibly addressed to former Vice President Joe Biden. No such package has been intercepted, but officials are looking into the possibility that one was spotted moving through the postal service. Nothing has been found at Biden's residence. According to sources, the explosive devices were made from PVC pipe and contained a timer (likely a digital alarm clock) to set off the detonator. Additionally, the powder contained in the bombs comes from pyrotechnics. X-rays show that there was likely shrapnel inside the PVC pipe, law enforcement officials say. Multiple senior bomb technicians briefed on the case said that the devices had all the components necessary to set off a successful explosion. Two of the seven devices -- one addressed to Clinton's Chappaqua home, one to Obama in Washington, D.C. -- were intercepted by the U.S. Secret Service. Both were discovered at off-site locations and neither the former secretary of state nor former president were ever at risk, officials said. Another of the packages -- one addressed to ex-CIA chief John Brennan, now an MSNBC contributor -- that appeared similar to the others forced an evacuation of CNN at the Time Warner Center Wednesday. NYPD Commissioner James O'Neill said the device appeared to be a "live explosive." He also said there was an envelope with white powder in the original packaging; that powder is being tested. Mayor de Blasio said there are no additional credible threats. It was at that briefing that Gov. Cuomo revealed his Manhattan office had received a similar package, which law enforcement later determined was not at all linked to the others. A senior law enforcement official told News 4 the item was a threatening letter, not a device, that referenced the Proud Boys street brawl from earlier this month. There was no explosive, the official said. A second official confirmed no device was mailed to the governor's office. A Cuomo spokesman later issued a statement saying the item appeared to contain computer files on the Proud Boys. However, in a subsequent statement, Cuomo's office said that security at critical New York infrastructure points will be doubled following the discovery of the potential explosive devices. "Out of an abundance of caution, I am deploying 100 additional National Guard soldiers and directing State law enforcement to double security at vital assets across New York, including LaGuardia and JFK, mass transit systems, and bridges and tunnels," Cuomo said in the statement. Two devices were sent to Waters; one was intercepted at a downtown Los Angeles mail facility. A second, found earlier in the day, was intercepted at a congressional mail facility in Capitol Heights, Maryland. CNN Worldwide president Jeff Zucker slammed the White House and its continued attacks on the media when responding to the suspicious package delivered to CNN offices at Time Warner Center. "There is a total and complete lack of understanding at the White House about the seriousness of their continued attacks on the media. The President, and especially the White House Press Secretary, should understand their words matter. Thus far, they have shown no comprehension of that," Zucker's statement reads. Law enforcement officials say all of the seven linked parcels were in manila outer packaging and the devices had stamps on them. The devices appear to be working explosives, sources say, but final analysis is pending further testing. News 4 obtained an image of one of the devices; it appeared to be crude. The signature is nearly the same on the packages and all listed the return address as one belonging to ex-Democratic National Committee chairman Debbie Wasserman Schultz. There is no suggestion Schultz had any involvement, law enforcement officials say. A device was also found at her Sunrise, Florida, office, which was the return address listed. Investigators believe that was the package addressed to Holder; it appears it may have had the wrong address, which is why it was shipped back to the nominal sender (Schultz's return address). An officer with the local police department in Florida where Schultz's office is located said the package had been removed by early afternoon and the bomb squad was "rendering it safe." He declined to say whether a live explosive had been in the package and warned, "There may be noise, there may not be noise." At the Manhattan briefing, an FBI representative with the Joint Terrorism Task Force said the devices assessed thus far appeared to be pipe bombs. In a separate statement, the FBI said the investigation is of "the highest priority." News 4 obtained this image of one of the four apparent explosive devices. The FBI says it is possible that additional packages were mailed to other locations and advises the public to remain vigilant and to not touch, move or handle any suspicious or unknown packages. 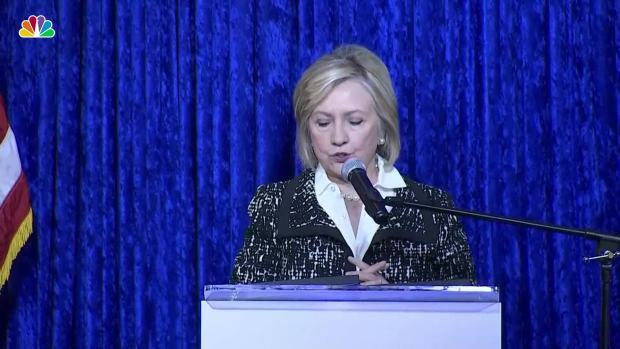 The Secret Service says it recovered the Clinton package, addressed to her home in Chappaqua, late Tuesday. She was not there at the time, though former President Bill Clinton was in the residence. The parcel addressed to Obama in Washington, D.C., was intercepted early Wednesday. Later Wednesday, at a campaign event in Coral Gables, Florida, Hillary Clinton thanked everyone for their support. "We are fine, thanks to the men and women of the Secret Service who intercepted the package addressed to us long before it made its way to our home," Clinton said. "But it is a troubling time, isn’t it, and it’s a time of deep divisions and we have to do everything we can to bring out country together." Secret Service says it has initiated a "full scope criminal investigation that will leverage all available federal, state, and local resources to determine the source of the packages and identify those responsible." "The packages were immediately identified during routine mail screening procedures as potential explosive devices and were appropriately handled as such," Secret Service said in a statement. "Both packages were intercepted prior to being delivered to their intended location. The protectees did not receive the packages nor were they at risk of receiving them." No one was hurt in the Soros case, which happened at his home in Bedford, about 10 miles away from Chappaqua. A Clinton spokesman referred questions to the Secret Service, but reiterated that, unlike the Soros case, no package actually got to the Clinton home as two senior law enforcement officials initially reported. In Soros' case, an employee noticed the package, put it in a wooded area and called police, who alerted the FBI and the Bureau of Alcohol, Firearms and Explosives. A law enforcement source told NBC 4 New York that the device contained explosive powder; it was detonated as a precaution. Investigators are reviewing surveillance video to determine whether the package was sent via mail or otherwise delivered. The FBI is working with police to figure out who sent the Soros device, which a senior law enforcement official said was similar to a pipe bomb. A law enforcement source says evidence was sent to the FBI lab in Quantico for testing. The FBI's New York office said Wednesday that its Joint Terrorism Task Force was working with federal, state and local partners on the investigation. ATF is also investigating. President Trump was briefed on the situation. "The safety of the American people is my highest and absolute priority," Trump said in remarks from the White House Wednesday afternoon. "We will spare no resources or expense in this effort. I just want to tell you in these times, we have to unify, we have to come together and send one very clear, strong, unmistakable message that acts or threats of political violence of any kind have no place in the United States of America." At a rally in Wisconsin on Wednesday, he took a softer tone than his usual fiery rhetoric lambasting Democrats and the press. In D.C., the mayor and police chief assured the public that local and federal officials would handle the threats. “We will not let this terroristic behavior interrupt our lives,” Police Chief Peter Newsham said at a news conference. Mayor Muriel Bowser said in a statement that there was no “additional, credible threat” to the city, and urged tipsters to contact police.